A hyper-talented 20-year-old emcee with an entrancing flow and a compelling cerebral lyricism, wifisfuneral is one of the most promising young artists to burst onto the scene in the past few years. 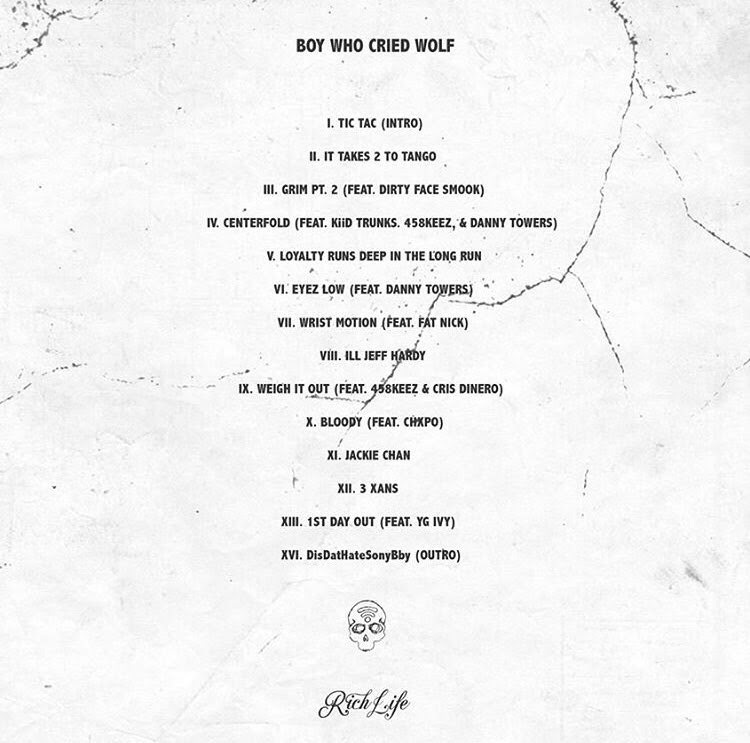 Taking matters into his own hands, wifisfuneral gifts his fans with Boy Who Cried Wolf, his latest mixtape. Filled to the brim with textured, minor-key, head-nodding beats, Boy Who Cried Wolf features some of the young emcee’s best bars (“Sadly I’m a spawn of Satan who’s waiting to meet their maker to argue in conversation/I tried to kill myself three times, well I guess that didn’t work, jerk/Now I go berserk first on a verse”) and a wide variety of custom-fitted flows. Featuring previously released singles such as the Joe Budden-cosigned “JoeBuddenProbablyThinksICantRap 🙁,“ the slyly self-aware “lil jeff hardy >:-),” and the posse cut “Centerfold,” which have earned more than 2 million combined plays on SoundCloud, Boy Who Cried Wolf is the next step in wifi’s evolution as an artist. Featuring production from Pi’erre Bourne and Cris Dinero, and featured appearances from internet sensations such as Danny Towers, Chxpo, YG Ivy, and others, Boy Who Cried Wolf is currently available on SoundCloud. One of the more quietly successful artists in a burgeoning South Florida rap scene that also includes Kodak Black, XXXTentacion, and Ski Mask the Slump God, wifisfuneral mobilized his rabid cult following to make his previous album When Hell Falls debut at #17 on the iTunes Hip-Hop Chart. Carrying his momentum into SXSW, wifisfuneral performed seven showcases during a five day span and became the first artist to land a record deal at SXSW when he signed with Todd Moscowitz‘s newest venture, Alamo Records/Interscope. 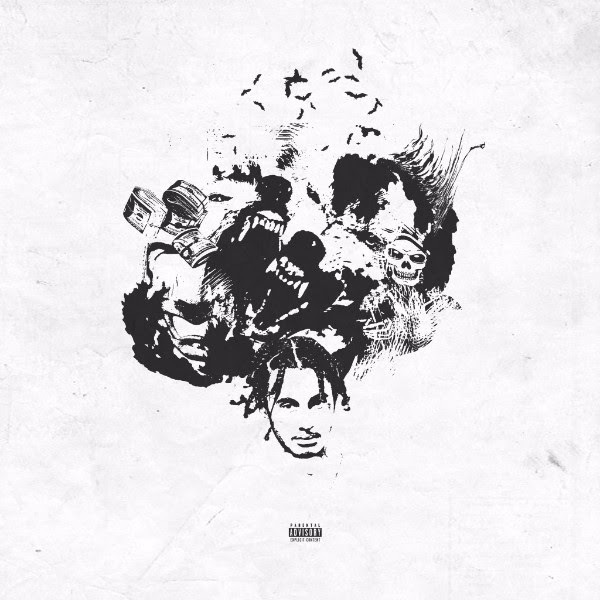 Since signing with Alamo, wifisfuneral unleashed a barrage of high quality loose singles like “Run It Up,” which features an appearance from wifi’s labelmate Smokepurpp, the 808 Mafia-produced, Pigeons & Planes-premiered “2 Step,”currently on Spotify’s Most Necessary playlist, and the Twitter-promoted, 1.75 million-times streamed “wya?.” Earlier this year, wifi performed at Rolling Loud festival in Miami, toured Europe with popular Taiwanese rapper Keith Ape, and then returned to the US for select dates of the Revenge Tour with XXXTentacion. The young rapper continues his climb to stardom with Boy Who Cried Wolf.